The Scoot Inn is located on the run-down East Side, across Interstate 35 from the downtown financial/party district in which the Austin Convention Center and 6th street neighbor. Alison dropped us off next to the train tracks, in front of one of the ad-hoc side entrances made at the venue to accommodate SXSW festivities. We got our ID’s checked and ran in just in time for Asobi Seksu’s set, the last set of the “Gigantic Music Party.” The “bungalow” portion of the venue was loosely held together by a semi-outdoor stage, and outdoor bar, some camera-wielding 20-and-30-something-year-olds behind big stylish shades. Looking sunburned, inebriated, these SXSW attendants appeared complacent as they waited for the performance and shot the breeze with fellow festival goers. Once situated on stage, Asobi Seksu blasted and blessed their audience with their signature heavy reverb and creamy analog delay. 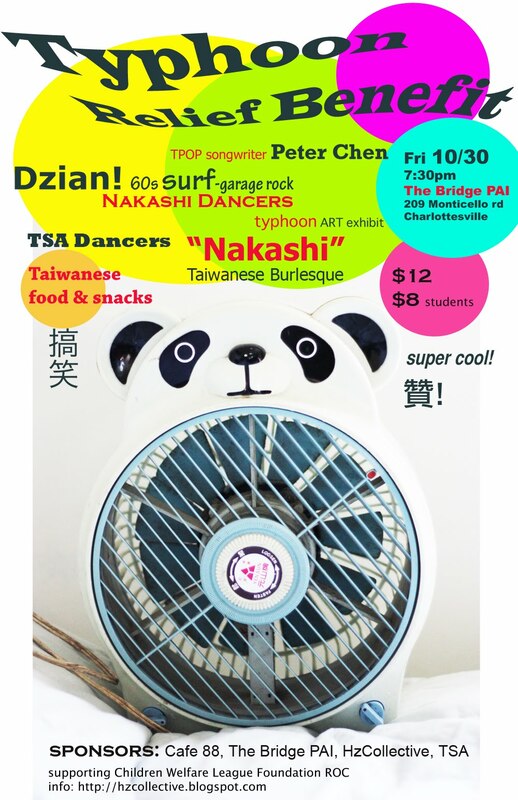 Other than Yuki Chikudate and James Hanna, the face of the band changed with new bassist and drummer, since I saw them at Satellite Ballroom in Charlottesville in the fall of 2007. Their sound appeared to be much tighter than their Charlottesville performance. Audience members, including those with the SXSW-approved professional-grade SLR cameras, flocked to the area directly against the backside of the center monitor speaker in front of which Yuki Chikudate performed. Still shot and video cameras flashed incessantly while the speakers blared 100-and-above-decibel sounds. Everyone enjoyed the bliss of getting drowned by Asobi Seksu’s loud shoegazey, dream poppy sound waves. Seemed to last only 30 minutes, the set ended before I got acclimated to the SXSW sonic intensity and laid-back “hanging out” sociality. After the set, I quickly skated over to the area where the band exited the stage and waited in line to talk to the performers. I introduced myself to Yuki and told her about my dissertation topic and she immediately showed interest in it. Yuki agreed to share her experiences. As we walked to the indoor bar area seeking for a quieter place to chat, the bar staff promptly warded us off as they anxiously closed down the space. We hovered around the venue’s load-in zone as Yuki revealed her observations of how race (and gender) often dominates the press on Asobi Seksu. She questioned the “whiteness” and “Asianness” of her band’s ethnic makeup. Telling stories about touring and living in different parts of the world, Yuki suggested how these ethnic and racialized notions are contextual to geography. Having had contrasting experiences, first as a non-minority having grown up in LA and then becoming a racial minority in New York City, she made observations of how she felt differently about her identity in these social spaces configured by the local interethnic and interracial dynamics. She began to tell me about the positive reception of her bicultural and bilingual music in Japan. Our conversation, unfortunately, came to an end, as her band mate interrupted us. 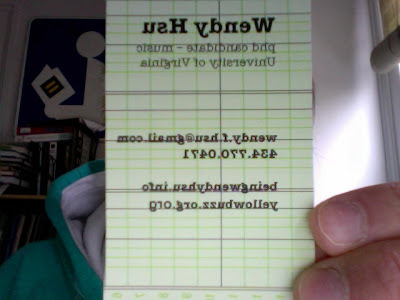 Handing over my DIY business card (laser ink on Staples-bought columnar paper), I promised that I would contact her for a formal interview in the near future. The band van pulled out of the lot in a flash. I retrieved into a street corner in front of the Scoot Inn to take field notes.